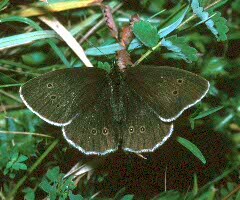 Ringlet is a grassland species whose strongest populations are often found in more shady or damp places than those of the other common grassland butterflies which prefer open and dry habitat. 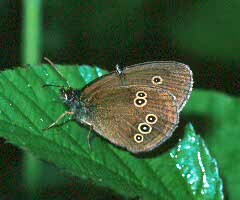 Woodland rides, hedgerows and roadside verges, and scrubby grasslands are typical places to find Ringlets. 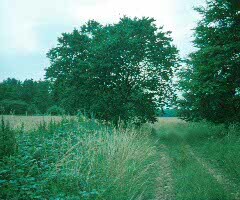 No threat at present, the species is common and in some years, very numerous. 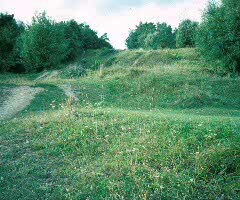 Late June to the end of July. 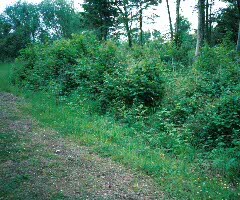 In suitable habitat throughout the area.